Seeing is Believing has launched the second phase of its Innovation Fund, expanding five of the original projects and awarding grants to seven new projects. Launched in 2013, the fund encourages innovators to develop pioneering ideas that have the potential to significantly impact how eye care is delivered in low and middle income countries. 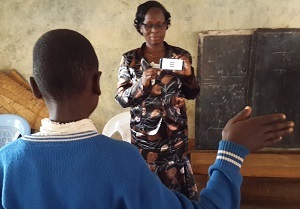 The first phase funded landmark projects which included developing smartphone technology to enable eye screening in remote locations in Kenya, building platforms for high quality remote online training in Africa and manufacturing realistic eye models to enable surgical training in Tanzania and Ethiopia. In this next phase SiB has awarded grants totalling USD1.85 million, including USD0.85 million to seven new projects to begin tackling a diverse range of issues associated with avoidable blindness. · Zhongshan Ophthalmic Center, Sun Yat-sen University (ZOC): using laser treatment in rural glaucoma care in China. 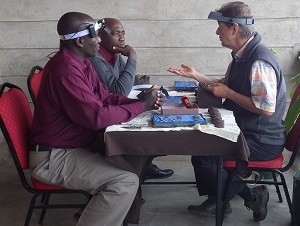 · Wake Forest University Health Sciences: training surgeons across Tanzania and Ethiopia to perform complicated trichiasis surgery on trachoma patients by developing a realistic eye model.